The parallel and common histories of modern art and contemporary art – with photography, cinema, video and television - have become more and more interwoven, by placing art into the focus of the camera, in need of time. One could cite the very relevant encounter between cinema and art through the documentary film made in 1966 by Brian de Palma on modern art “The Responsive Eye”. Elaborating a program of films on contemporary creation in its broader context, is to spark meetings between subjects, domains and fields of expression as to highlight the work of art. In this perspective, the meeting between music and cinema creates a universe which is rich of singular art works. Wheater through music, singing, recitation or register of noise, the sound of the works engages in cross-plays of language, speech and listening, which Roland Barthes often emphasized the complex and subtle process. The artists design sound installations configured as spaces to experience; a song being whispered, a shout, an unbearably strident noise and some music. 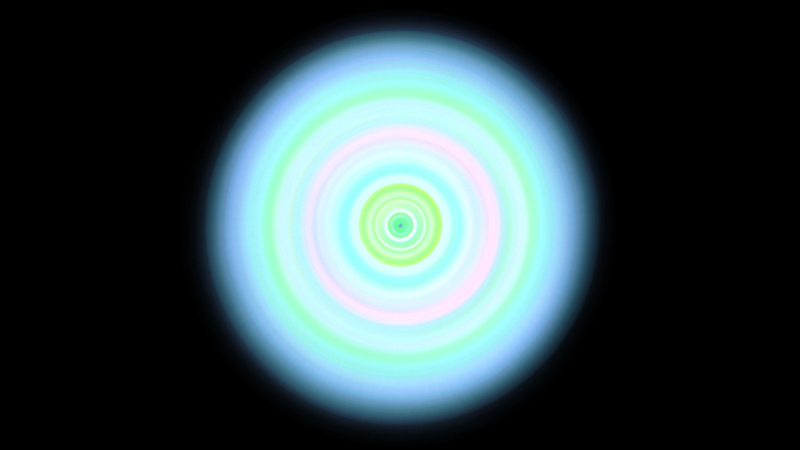 Other works provide scenarios for abstract sound landscapes. 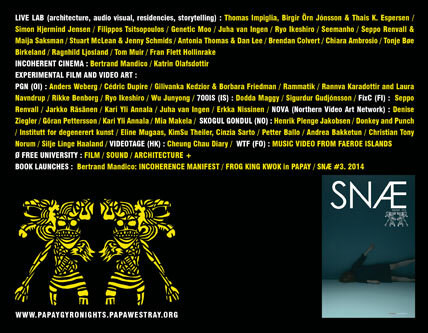 This collection of films emanating from the video collection of CNAP includes works by Charles de Meaux, Dominique Gonzalez Foerster, Pierre Huyghe, Ange Leccia, Romain Kronenbourg and Lorna Simpson, bear witness to the rich diversity of film creation in France, which is presented alongside the rich singularity of Icelandic creation. With: Steina Vasulka, Dodda Maggý, Sigurður Guðjónsson. The material world is the subject of a few chosen pieces from Reykjavík Art Museum's collection. Natural phenomena, man-made things and various materials are the foundation, based on characteristics, nature, meaning and value. The exhibition is a part of the museum's sketch work of sorts, of the history of contemporary Icelandic art. The idea is that the museum continues choosing pieces from the collection and placing them in the context of an experiment of writing art history as it happens. When pieces are bought by the museum, a certain choice takes place, reflecting on the diversity of art creation each time, but here we try to analyse even further the joint emphases, found in today's artistic melting pot. 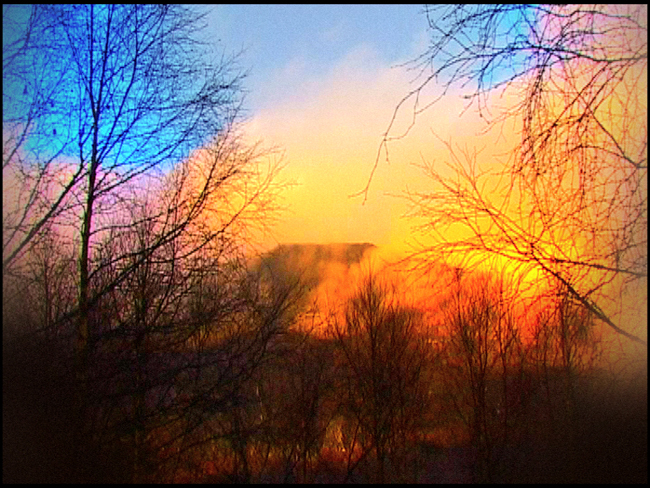 Loom is a video/music piece composed for Nordic Affect. The musical score is written by María Huld Markan Sigfúsdóttir and the video created by Dodda Maggý. With its 2nd edition the Addis Video Art Festival continues to create a dialogue between local, and international artists by encouraging digital media culture. It will take place between 24 December and 3 January and will screen throughout Addis Ababa in a variety of locations including street corners, rooftops, public centers and art centers. The international festival intends to provide a platform for innovative video art in Ethiopia and by sharing video art in both conventional and non-conventional settings, the festival will reach both the artist community and the everyday passerby. In the selection of works chosen for the second edition of the festival, the theme of love triangle appears in many manifestations from the intimately personal to the socio-political-environmental to the cosmic. The videos portray a sense of time that is liquid in its survey of the present moment, but in the end, moves steadfastly forward. The migrations amongst various geographies portrayed in the works correlate to various timelines as well. This is very fitting to the location of the festival in Ethiopia as it follows the Julian calendar, which is 8 years behind the Gregorian calendar, creating a new terrain of time altogether. While the mechanics of triangulation has uses in politics, psychology, social sciences, and in the interpersonal politics of love, the essential method is always the same: by converging measurements taken from two distinct points, a more confident result is found, validating the data, be it time, space, or people, from the perspective of multiple observers. In this way, the complexity of the human experience is portrayed more accurately. However, triangulation also points out absences as space is filled from all sides in a balancing act that correlates to the other sides, one can easily find what is not contributing to the whole. The festival will show works by Alban Wady El Neel, Mohamad El-Hadidi, Mulugeta Gebrekidan, Marie-Frnace Giaraudon, Martha Haile, Edgar Endress, Shahar Marcus & Nezaket, Helina Metaferia, Caroline Koss, Michael Macgarry, Suzanne Wawra, Onyinye Alheri Nigeria, Meike Redeker, Ng’endo Mukii, Eyal Segal, Yacob Bizuneh, Jacob Podbler and Wala & Kush and a guest program with Video Art from Iceland curated by Erin Honeycutt and featuring the artists Kristín Scheving, Sigurður Guðjónsson, Dagrún Aðalsteinnsdóttir, Dodda Maggy, Ásdis Sif Gunnarsdóttir, Logi Leo Gunnarsson and Rakel Jonsdottir. Saturday 4th of November in Bíó Paradís will host exciting, interactive events as part of the Iceland Airwaves Conference & Lounge. All events are open to the public! 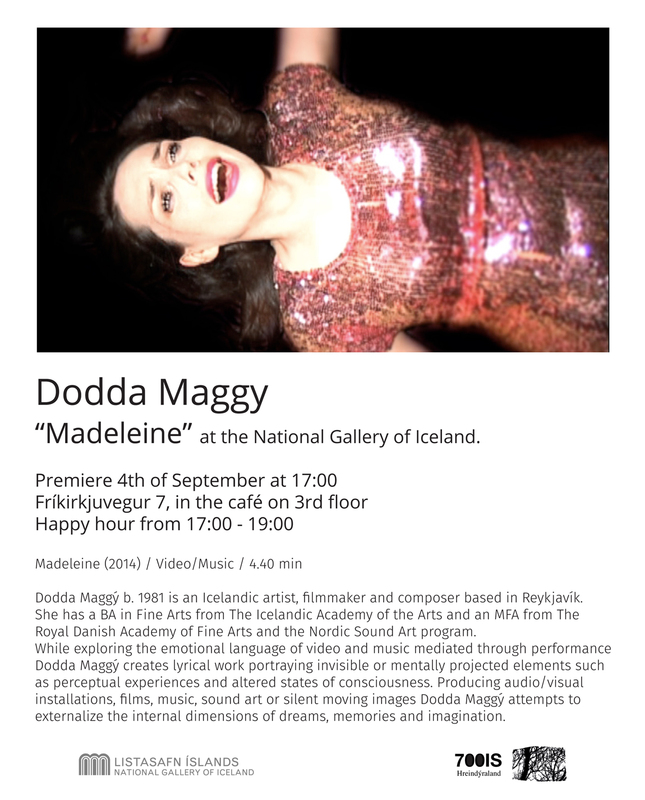 13:00 Dodda Maggý, renowned artist and musician will showcase her visuals in Salur 1. Come see the much buzzed about work on the big screen! 14:00 dj. flugvél & geimskip is going to show us how to play her new video game which is made to coincide with her upcoming album release. She'll show us how it works and you can try it yourself. 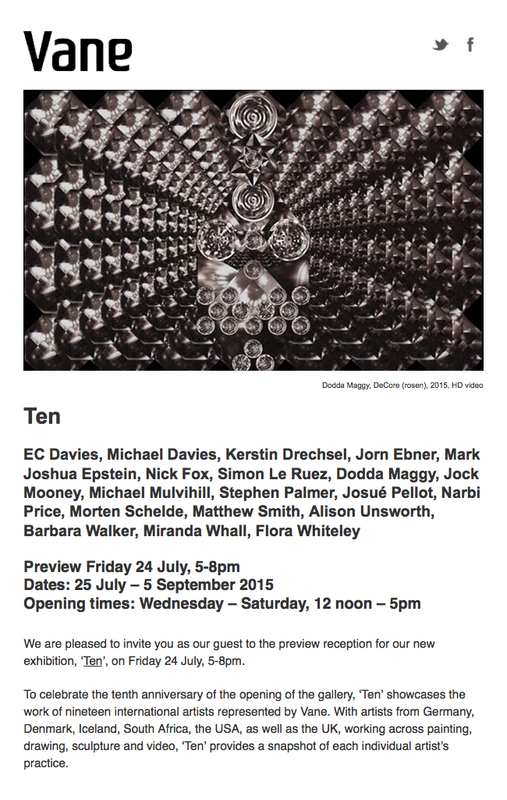 ‘Vicennial’ celebrates twenty years of Vane with an exhibition of work by gallery artists. In July 1997 Vane opened our first ever exhibition. In the twenty years since then we have worked with hundreds of artists from around the world, both welcoming them to our home in the north east of England as well as through taking the gallery to participate in international projects in Denmark, Germany, Italy, Lithuania, Mexico, Puerto Rico, Spain, Sweden, Switzerland, and the USA. Presented a new commission on live broadcast on Channel 2 on Icelandic television. DeCore (Doríon) 2017 is a three-projection, outdoor video installation made to honor and support the work of artist Gerður Helgadóttir. Her stained glass windows of Kópavogur Church are severely damaged and in need of repair so a fundraiser campaign has been started. The first theme, starting this Thursday, is called PLAY. 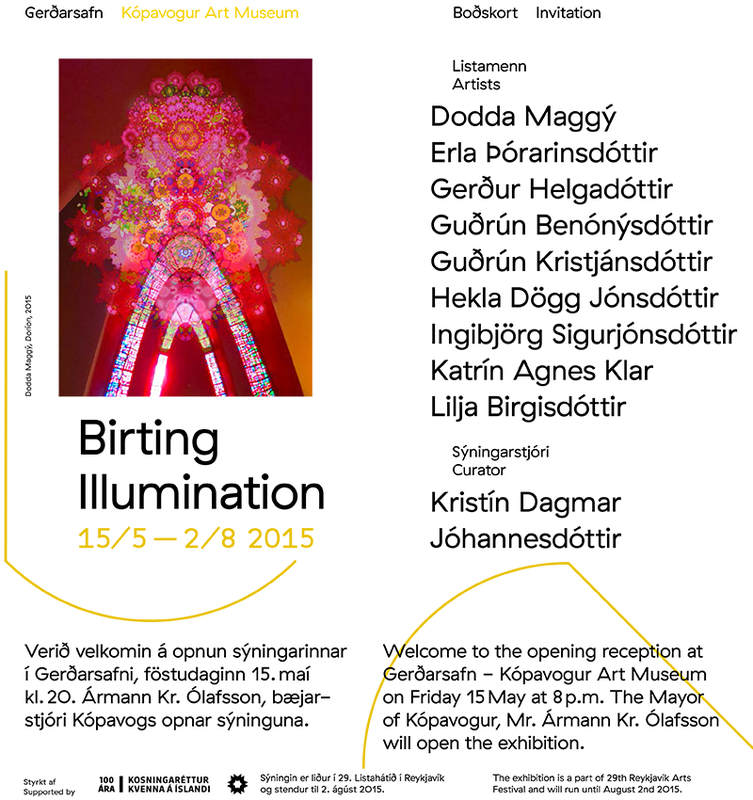 It holds works by artists such as Egill Sæbjörnsson, Erró, Sigrún Harðardóttir, Sirra Sigrún Sigurðardóttir and Steina. 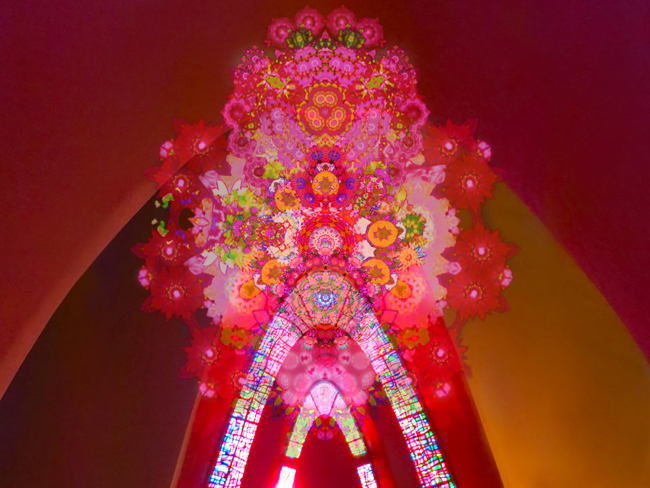 Their art work is technically characterised for example by an experimental approach to the media and research of the possibilities which technology brings. 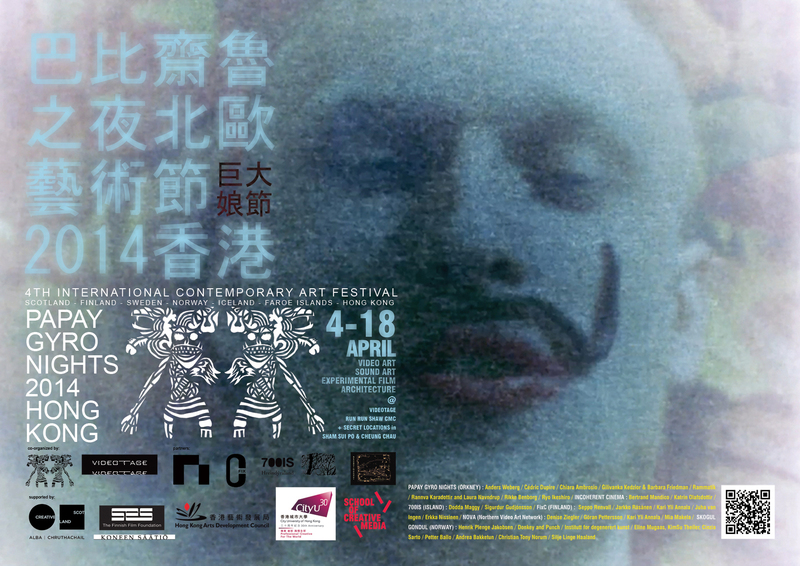 This bout includes the work Tokyo Four by Steina Vasulka who plays an important part in the development of video art, as an active participant in the international art scene during the birth and formation years of the media, late in the sixties. The art works shown are large scale installations with substantial visual elements, yet with sound as the central element bringing a wide range of materials into play. The audience will encounter a greenhouse with electro magnetic plants, record players that seem to have come alive, explorations of the relation between voice and identity and much more. Each art work constitutes its own micro universe exploring and visualising the formation, processing and transmission of sound. The exhibition features a number of well established artists from the Nordic countries, who despite their international success have not previously been very exposed in Denmark. The exhibition is set in the empty attics above Kongernes Lapidarium, and the architecture of Christian IV's Brewhouse, one of the oldest buildings in Copenhagen, serves as a spectacular backdrop to the contemporary sound art. Nordisk Panorama and Malmö Konsthall invites you to a selection of Icelandic Art films, all themed around belonging, identity, territory and memory. “Coming from Iceland where nature plays a big role in most people´s memories, as we are still so few, sharing this island, there is space for wilderness that echoes in many people´s memories and their feelings of the territory.” Says the curator Kristín Scheving of the exhibition, which includes artists such as Hulda Rós Guðnadóttir, Una Lorenzen, Sigurður Guðjónsson, Kristín Scheving, Ásdís Sif Gunnarsdóttir, María Dalberg, Dodda Maggý, Steina and Woody Vasulka. Art, Nature and Society; a relationship in progress? Through time artists have explored and been lured by the mystical space created by promt contrasts of light and shadow and weather transformations. 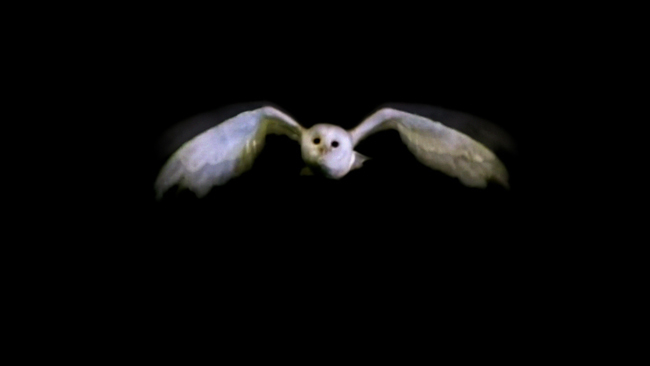 But, the transition of the twilight also affects other creatures than humans and Mother Nature; the contrast to sunlight and daylight is night and darkness when strange creatures are on the move. The local folklore tells tales of night trolls; uncanny creatures who reside in caves and canyons, that if they are exposed to sunlight they turn into stone. For long Icelanders have read various symbols from the land and commonly perceived stone formations as transformed troll figures. From such play of fantasy and conflict between the bright world and the darker forces of nature, folktales are created, even in our times. The exhibition is intended to provide insight into the process of research and exploration of Icelandic artists on refraction, shadowplay in nature and luminous effect of optical spectra. The works in this exhibition are all by Icelandic artists from the collection of the National Gallery of Iceland spanning the period from 1900 to 2013, by such artists as Guðmunda Andrésdóttir, Ásgerður Búadóttir, Dodda Maggý, Svavar Guðnason, Spessi (Sigurþór Hallbjörnsson), Gerður Helgadóttir, Ásgrímur Jónsson, Sigurður Árni Sigurðsson, Jón Stefánsson and Þórarinn B. Þorláksson. This exhibition showcases works of art in the spirit of “visual music.” Since the early twentieth century, artists in search of abstract forms of expression have sought inspiration in music. The pioneers of abstract painting consciously looked to musical aesthetics in order to develop a new kind of painting without reference to external reality. In due course, in the 1920s, avant-garde artists began experimenting with the new possibilities of film technology to create visual music. Since then, with the advent of video, and increasingly sophisticated means for working with music and images, artists have been able to develop this art form even further, to make works in the spirit of visual music without requiring a team of technicians to do so. Thus the concept of visual music can be traced through art history from the beginning of the twentieth century until the present day. The exhibition is made up of three parts: First, the historical background to the art form is established through its main pioneers – Viking Eggeling, Thomas Wilfred, Oskar Fischinger and John and James Withney. The second part of the exhibition consists of new installation, Trajectories, that combines video work by Sigurður Guðjónsson and an electronic/piano composition by Anna Þorvaldsdóttir, Decore (aurae) by the artist Dodda Maggý and works by the American artist Jeremy Blake. The third and final section curated by Jón Proppé, consists of about forty smaller works that illustrate the relationship between music and abstract art in Iceland. 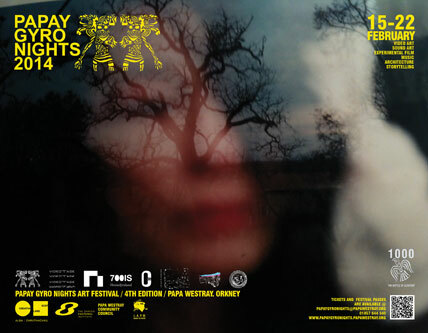 The exhibition, which is organized in collaboration with the Reykjavik Centre for Visual Music, will coincide with the opening of the inaugural Reykjavik Visual Music–Punto y Raya Festival, which will be held at the Harpa Concert Hall and Conference Centre from January 30–February 2, 2014. 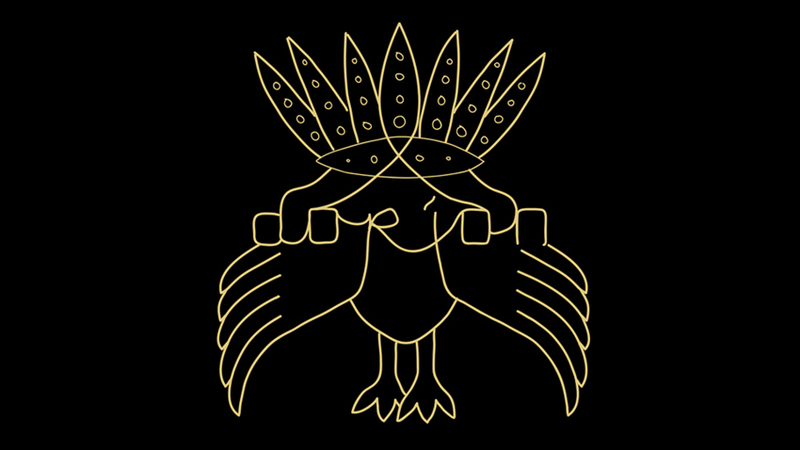 The new work by Sigurður Guðjónsson and Anna Þorvaldsdóttir was commissioned for the festival by the Reykjavik Centre for Visual Music. 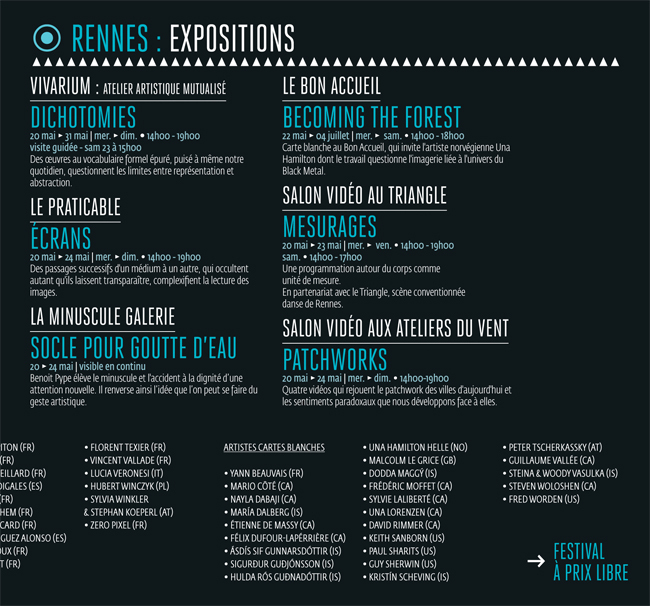 The Silfurberg Art Fund sponsors both the festival and the exhibition. Swedish artist Viking Eggeling (1880–1925) is renowned for his participation in various radical artistic and political movements in the 1910s and 20s. He lived in Paris, the epicentre of modernism, from 1911-17, and then Zurich, where he took part in Dadaist performance art at the Cabaret Voltaire. In his work he aspired to develop abstract forms that could serve as a universal visual vocabulary for movement. A pioneer of experimental abstract film, Eggeling used stop-motion photography to animate series of drawings. His Symphonie diagonale (1924) had a revolutionary impact on experimental film. Danish-American artist Thomas Wilfred (1889–1968) was a pioneer and creator of Lumia, the art of light, which was an entirely new art form in the beginning of the twentieth century. He developed a complex instrument, which he called a clavilux, to project coloured imagery, instead of just colour fields like earlier instruments. Wilfred used the clavilux to perform his many compositions of light, colour, and form; they consist of a very wide range of light intensity and a broad spectrum of delicate colours and shapes. Wilfred regarded Lumia as a completely independent and new art form and performed his compositions in complete silence. Later in his career he developed individual instruments, each of which displayed a single composition. Digital representations of some of the 18 extant compositions are on display here. As technology has improved, the digital representations give a better approximation to Wilfred’s analog art. But the exquisite, sublime beauty of Wilfred’s work can still be fully experienced only when viewing his works in person. 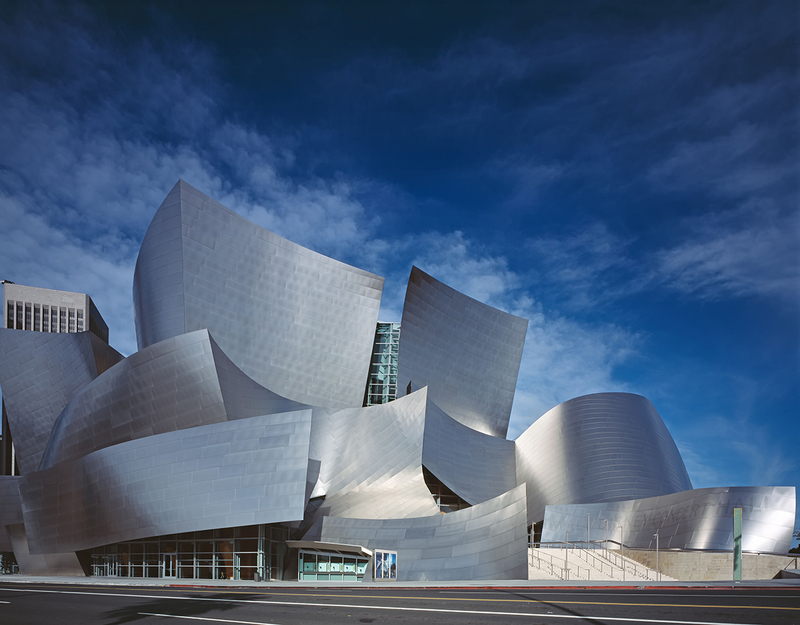 In the spirit of abstract expressionism, the Museum of Modern Art in New York in 1951 exhibited three of his works alongside paintings by Pollock, Rothko and Willem de Kooning. But again, because Wilfred thought of Lumia as an independent, separate art form, he did not regard his work as part of abstract expressionist painting, even though he was working contemporaneously with many of those painters. 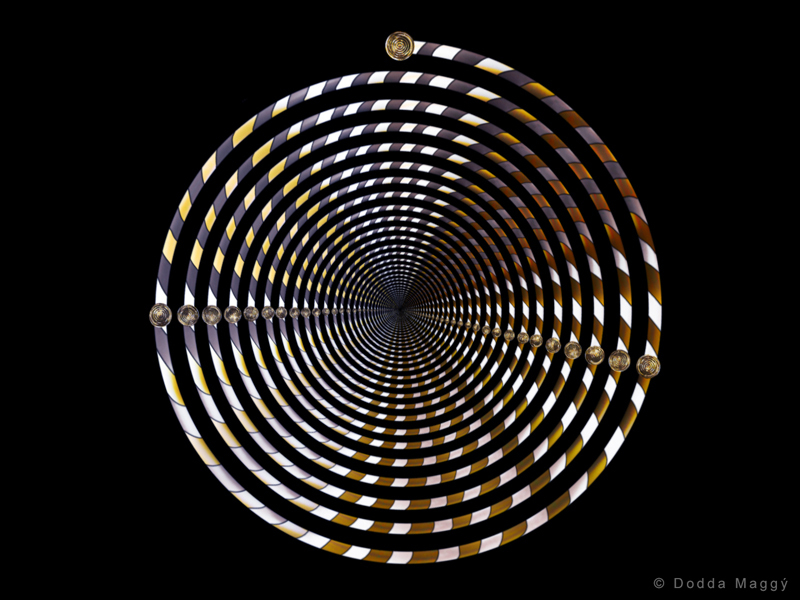 German-American artist Oskar Fischinger (1900–1967), one of the main protagonists in the history of animation and abstract cinema, is a pioneer of visual music. In the 1920s, in his famous series Studies, he created a new abstract film language with highly complex animation. 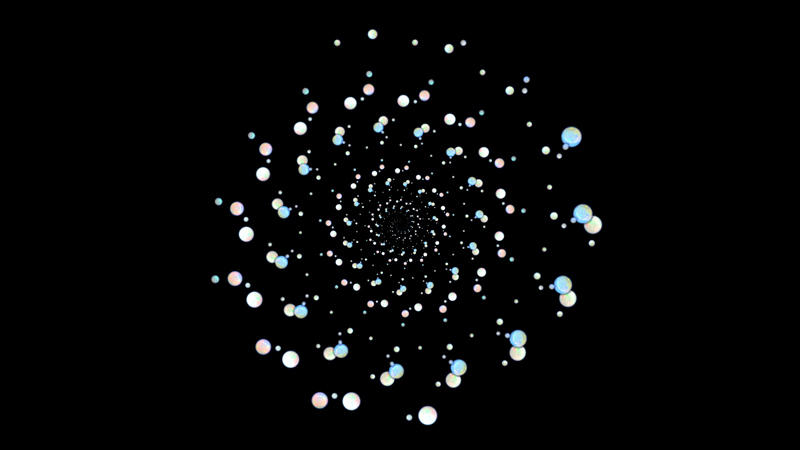 Fischinger’s animated lines and shapes move in smooth transitions, parallel to and in harmony with music and rhythms. In 1936, Paramount Pictures brought Fischinger to Hollywood, where his unique style influenced Disney’s animated feature Fantasia. More importantly, Fischinger’s foresights in film as an art form continue to influence many artists, animators and filmmakers to this day. Brothers John (1917–95) and James Whitney (1921–82) are well known for their innovative work in film: John was a composer and James a filmmaker, and together they did pioneering work with abstract film, including Twenty-Four Variations on an Original Theme, based on Arnold Schoenberg’s twelve-tone system. A sequence made by John for Alfred Hitchcock’s Vertigo is a renowned example of the expressive power of abstract music. 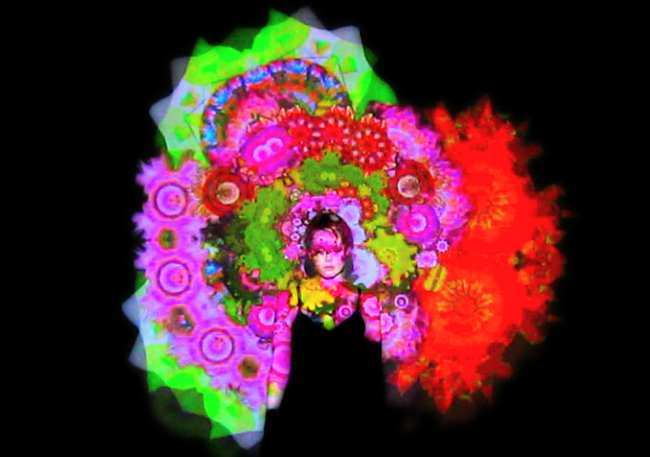 US artist Jeremy Blake (1971–2007) is best known for his video works and his collaborations with filmmakers and musicians. His works were selected for the Whitney Biennial in New York in 2000, 2002 and 2004. Dodda Maggý (b.1981) completed her MFA degree from the Royal Danish Academy of Fine Arts in Copenhagen in 2009. 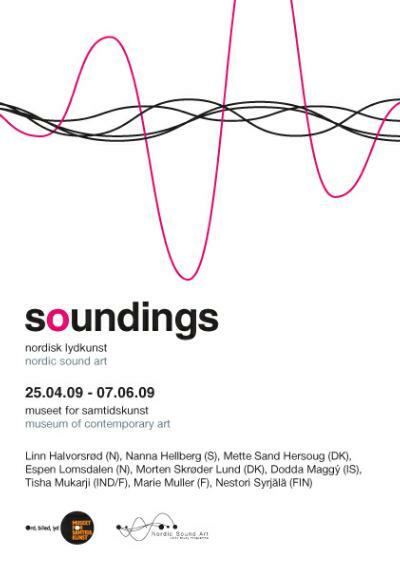 Alongside her MFA studies she also pursued studies in Nordic Sound Art (a two-year MFA programme jointly organised by the Royal Danish Academy of Fine Arts, Malmö Art Academy, Oslo National Academy of the Arts and Trondheim Academy of Fine Art), in which she focussed on the connection between music and visual art. Sigurdur Gudjónsson (b. 1975) makes videos where image, sound, and space form a seamless whole.The distant world of these works draws the viewer toward its core, through a near-bodily experience of the interplay of image and sound with the setting. 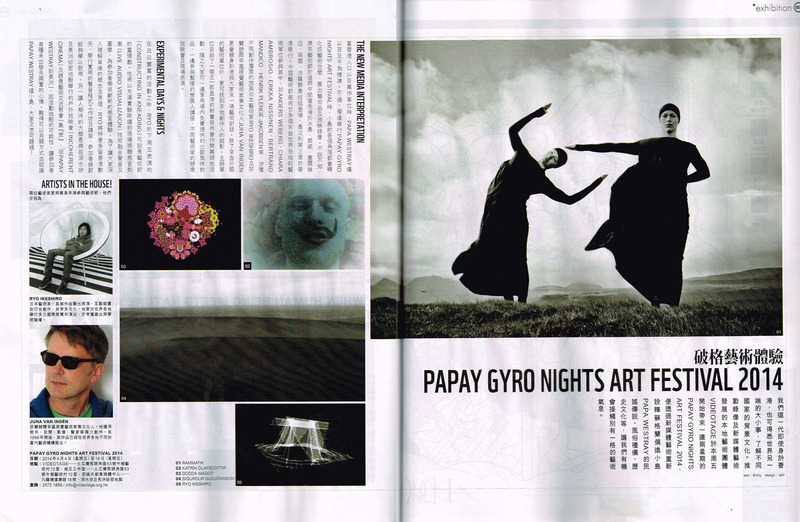 His work has been featured in numerous solo and group exhibitions around the world, in such institutions as the National Gallery of Iceland, Reykjavík Art Museum, Hafnarborg, Iceland, Frankfurter Kunstverein, Germany, Arario Gallery, Beijing, Liverpool Biennial, Tromsø Kunstforening, Norway, Hamburger Bahnhof, Berlin, KW Institute for Contemporary Art, Berlin, Ursula Blickle Videoarchiv Kunsthalle Vienna, Kling & Bang Gallery and Bergen Kunsthall Norway. Anna Þorvaldsdóttir (b.1977) music tends to portray a flowing world of sounds with an enigmatic lyrical atmosphere. Her works have been nominated and awarded on many occasions. Her chamber orchestra piece Hrim was awarded Composition of the Year at the Icelandic Music Awards 2011, as well as the International Music Prize for Excellence in Composition 2011. At the Icelandic Music Awards 2012, Anna was awarded Composer of the Year and her debut album Rhízōma was awarded Classical/Contemporary Album of the Year. Anna is the recipient of the prestige Nordic Council Music Prize 2012 for her work Dreaming. 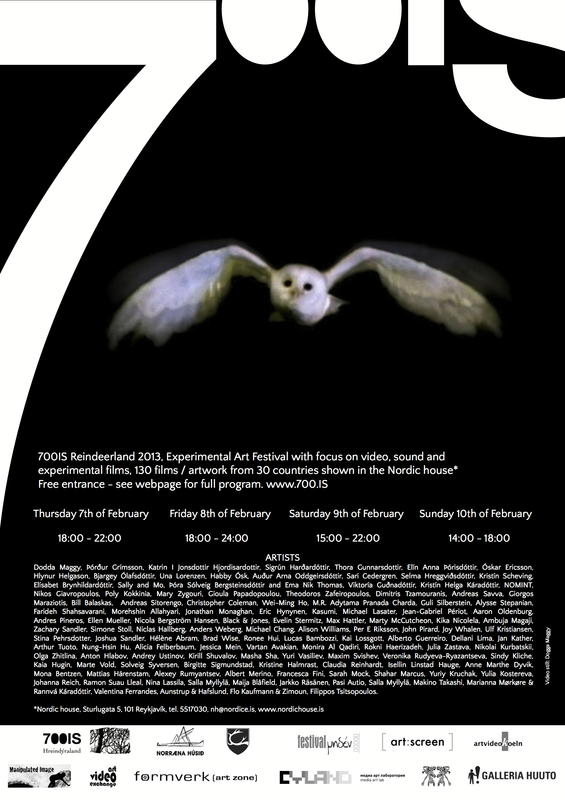 The program in Umeå will also include Superflex, Burning Car (2008). Burning Car is a film work by Superflex in which a car is being set on fire. The empty car starts to burn, the cabin is filled with smoke and fire, car-paint is bobbling, tires explode. Towards the end the car is burned out completely. Nordic Outbreak ends its Nordic tour visiting Umeå in northern Sweden, for the Inauguration of the city of Umeå as European Capital of Culture 2014, January 31-February 2, 2014. 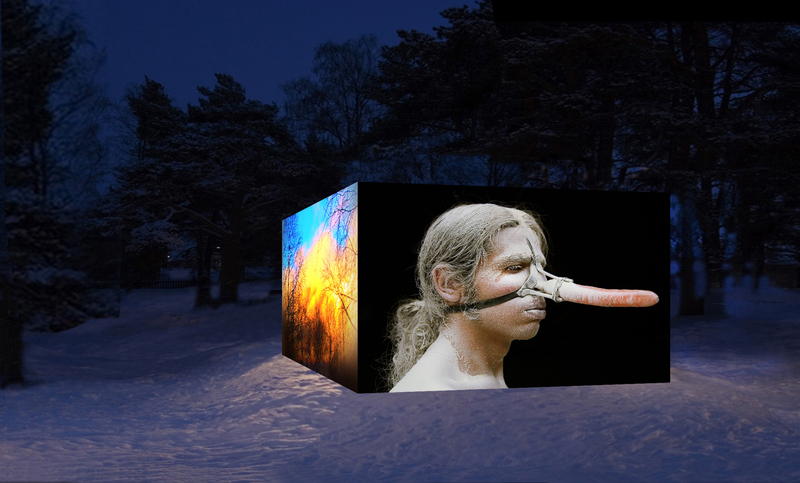 A selection from the Nordic Outbreak program will be projected on temporary canvases installed as a cube in Rådhusparken and integrate with the winter landscape. 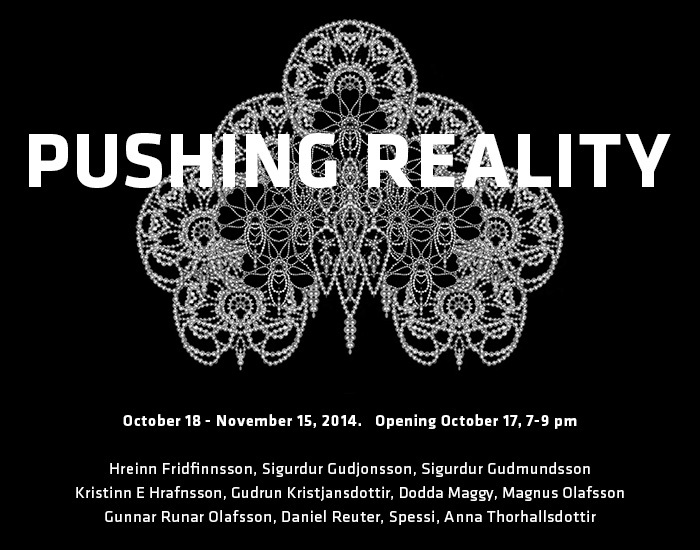 The Nordic Outbreak exhibition in Umeå explores the theme Confronting Elements. In the Greek notion of the classical elements fire, air, water and earth, each element has a property, always in transformation from one state to the other – hot then dry; wet then hot; cold then wet; dry then cold. Nature’s elements have been romanticized in Nordic visual aesthetics in a tradition emerging from landscape paintings with nature’s core elements as properties for human spirit and vitality. While questioning the reality and materiality of nature’s elements, Nordic Outbreak: Confronting Elements also questions the myth of them. Installed in a large-scale, cubic installation in direct contact with the snow, the installation establishes both coherency and confrontation between abstracted elements in the artworks that simultaneously enhance and resolute each other. Umeå has been appointed European Capital of Culture 2014. Each year EU appoints two cultural capitals of Europe, with the aim of highlighting our shared cultural heritage and stimulate interest in the cultural riches of the countries in the EU. In Umeå this award is an important part of the municipality’s long-term growth strategy. This will create a greater interest in the city and its stakeholders, and contribute to culture-driven growth. BYOB (Bring Your Own Beamer) is an open source DIY curatorial format iniciated by Rafaël Rozendaal. 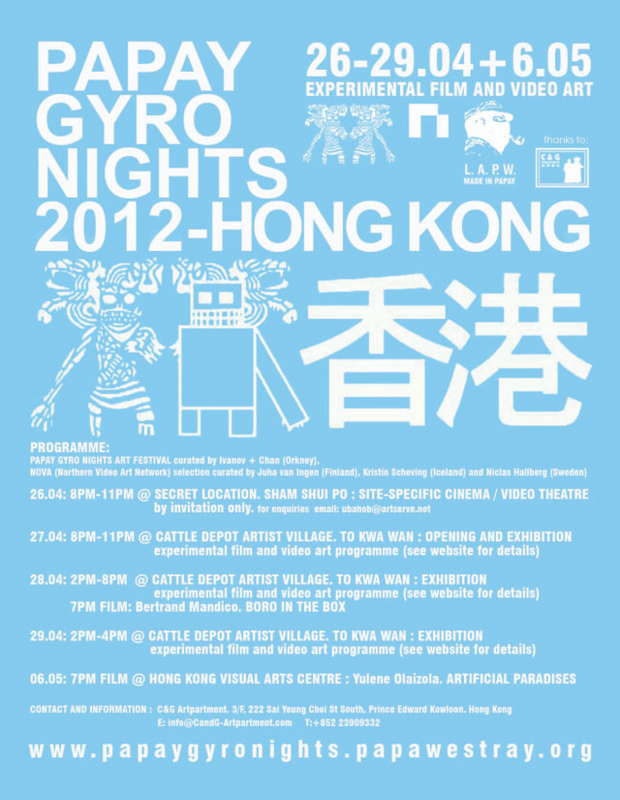 These series of one-night-exhibitions hosting artists and their projectors have been spreading across the world rapidly. 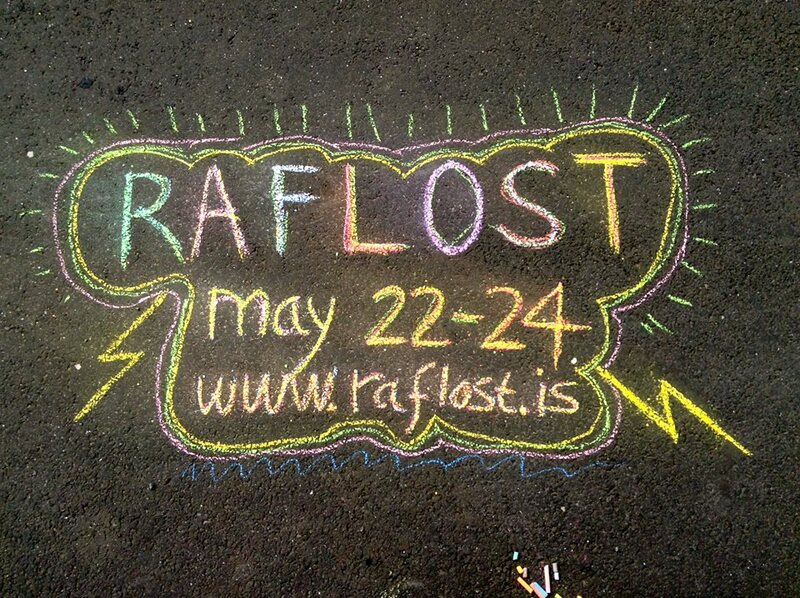 The event is held in collaboration between The Living Art Museum, The Icelandic Art Center & You Are In Control. Nordic Outbreak will be presented at the Reykjavik Art Museum during the first historical exhibition of Icelandic video art shown in Reykjavik, Icelandic Video Art from 1975-1990, curated by Margrét Elisabet Ólafsdóttir. The talks and discussions organized around those two events taken place simultaneously will raise questions about the role of local histories and their relevance in regard to contemporary video art practices. 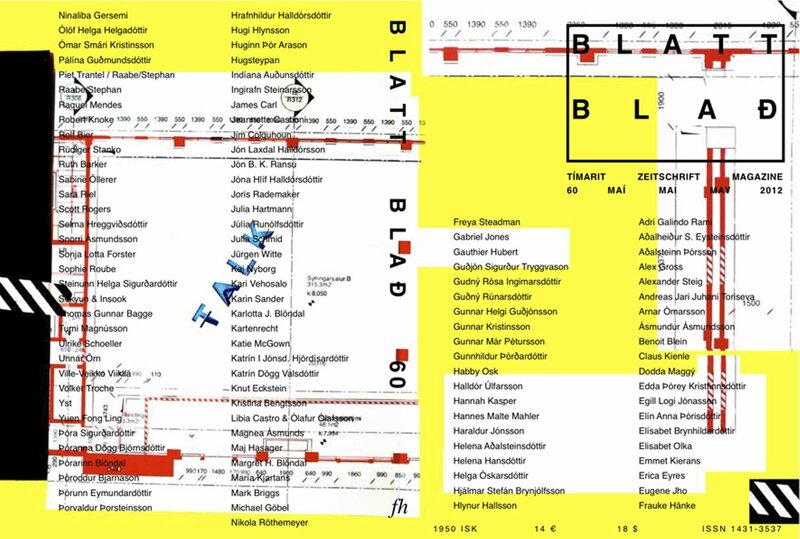 Speakers include: Jacob Lillemose (curator), Jonathan Habib Engqvist (curator), Hlynur Helgason (assistant professor at the University of Iceland) and Dodda Maggý (artist). The panel is moderated by Margrét Elísabet Ólafsdóttir (independant researcher at The Reykjavík Academy), curator of the exhibition Icelandic Video art from 1975 to 1990, actually on display at the Reykjavik Art Museum. Nordic Outbreak will explore the theme animated bodies and modified realities. Animated Bodies and Modified Realities, the theme of the Reykjavik program, explores the moving image as a platform for performative investigation and modes of enhancing and creating new realities via the ever advancing modification possibilities of editing tools. 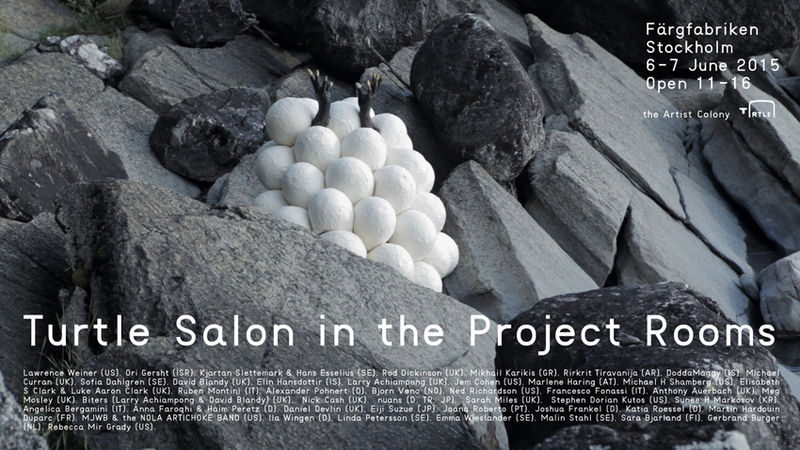 The program presents current elements of video art in the Nordic countries with specific emphasis on the recurring threads of video art in Iceland, such as performativity and animation. The works presented in this selection of Nordic Outbreak offer insight into subjects as varied as spiritual relations between nature and technology, nature as reflected in the internal dimensions of dreams and nature as a victim of human destruction, dark chapters in Nordic history, healing powers of humans and our methods of creating history. 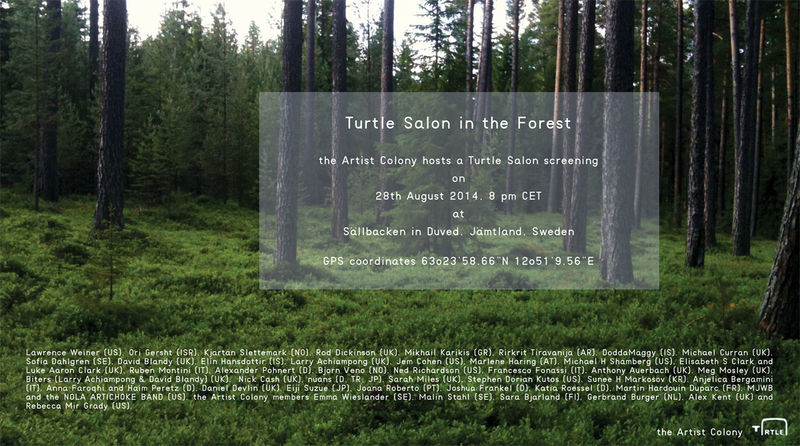 In Stavanger, the select Nordic Outbreak program explores the notion of EVERYDAY TERRITORIES. Our everyday territories, both psychic and material – our household, work place or neighbourhood, and spaces that we occupy in virtual worlds – are held together by invisible rules, expectations and gazes of society. The works presented in Everyday Territories offer insight into fictive and real-imagined situations, which might appear to be ‘just normal’ but underneath the surface reveal narratives of economic inequality, domestic resistance, feminist issues, cultural displacement and dreams of escapism that exist in a parallel stream to the facade of normalcy. Installed in the middle of the Lervigstunet park, an important site in the eastside development of Stavanger, the theme responds to locally relevant issues of borders and migration and to Stavanger as a city in movement and development influenced by changing meanings of its physical, cultural and symbolic territories. A selection from the Nordic Outbreak exhibition will be exhibited in The Maboneng Precinct, Johannesburg, South Africa in partnership with The Trinity Session founders Marcus Neustetter and Stephen Hobbs, and The Maboneng Precinct. Nordic Outbreak was invited to present a special program during and post ISEA 2013 Sydney, June 8 – 28 by Urbanscreens TV, The Concourse, 409 Victoria Avenue, Chatswood Sydney NSW 2067. 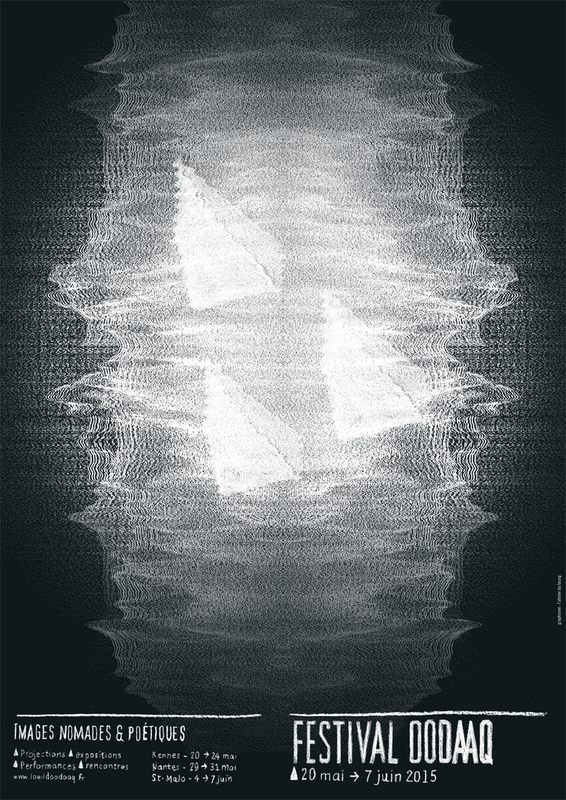 ISEA is an international symposium of electronic art and ideas that takes place in a different city each year. 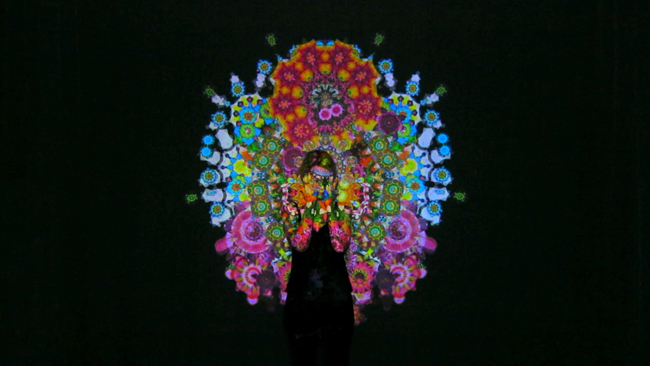 ISEA 2013 took place in Sydney, Australia. Presented by the Australian Network for Art and Technology (ANAT) and held alongside Vivid Sydney – a festival of light, music and ideas – ISEA2013 showcased the best media artworks from around the world and provide a platform for the lively exchange of future-focused ideas. The 19th International Symposium on Electronic Art comprised engaging presentations and thought-provoking speakers and discussions, informed dialogues, dynamic debates, enlightening keynotes and experimental incursions into the extensive and diverse practice of electronic media arts. Nordic Outbreak launches in New York City with a week of events and exhibitions in public spaces. 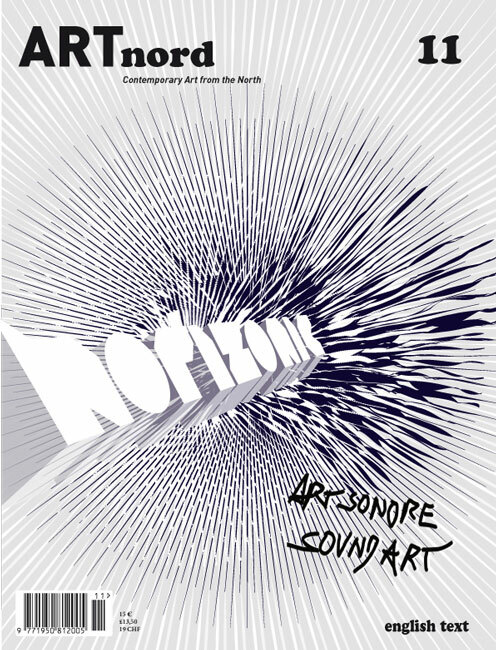 The programs will address contemporary dynamics in Nordic moving images and what “the Nordic” has come to mean in the digital age as a concept of aesthetics and identity. The theme of the New York exhibition, Nordic Outbreak: Confronting Tales, Futures and Memories, questions the fictional narratives and tales that underpin the Nordic concept – of cultural values, identification with nature, melancholia, everyday life and the welfare model. These tales have shaped through past and present myths, memories and nostalgia, and in the traditions and rituals of everyday life, which ultimately shape ideas about the future. Confronting Tales, Futures and Memories is the umbrella theme of the total collection of artworks. It challenges the preconceived notions of ‘the Nordic’ concept as idea and identity. Though the traditional medium of pencil on paper continues to be a mainstay of drawing, in the expanded field of contemporary practice, artists are using an ever-widening range of media in order to experiment with their ideas and themes. And while drawing is still used as a starting point or a kind of shorthand in the development of work in other media, increasingly, many artists are seeing it as the core of their work. ‘Luminous Language’, curated by Vane, explores the great variety of contemporary drawing through the work of 24 artists from the UK, Europe and the USA. Whether using pencil, paint, collage, photography or video, these works give us an insight into each artist’s working method and their individual artistic visions.